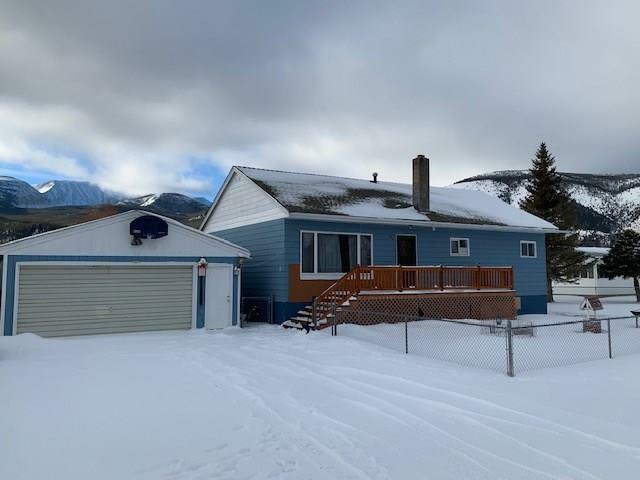 This 5 bedroom, 2 bath home is located in the west valley with beautiful views of Mount Haggin. 2 bedrooms are located on the main floor and an additional 3 in the full basement. Kitchen has newer cabinets and appliances. There are hardwood floors on the main floor. Basement bedrooms are nonconforming- there are no egress windows. There is a two car detached garage with storage area in the back. Home has lots of potential. Call to schedule your appointment to view today.